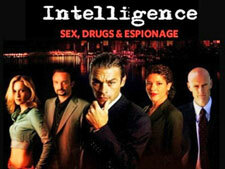 Intelligence: Mystery and Suspense on Television. 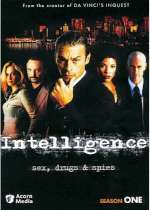 Intelligence was a Canadian crime series that shows the shifty nature of undercover information gathering, where your deadliest enemy can become your closest confidant and treachery is taken for granted. 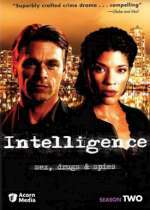 The series starred Ian Tracey as Vancouver crime boss Jimmy Reardon and Klea Scott as ambitious spy director Mary Spalding who forge a tenuous and dangerous relationship, one that threatens to expose them both to their enemies. Intelligence was created by Chris Haddock who was also responsible for the series Da Vinci's Inquest. It aired for only two seasons on CBC.